Each year, during testing, I try to give the kids something to be excited about. 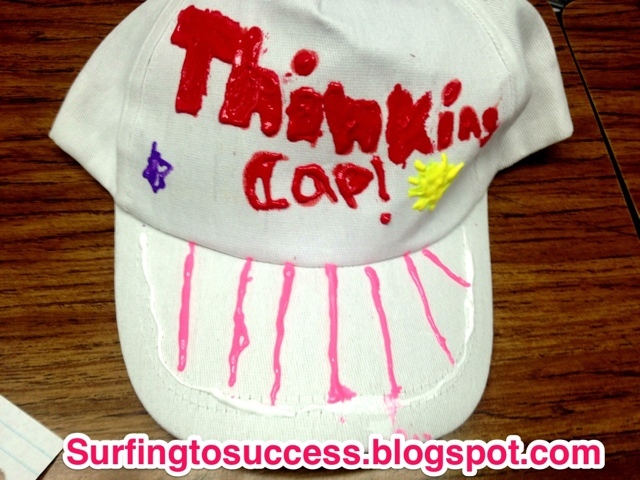 This year my team decided to make Thinking Caps. My kids are excited to wear the hats. I can’t count the number of times I’ve reminded them to take their hat off. Now I get to remind them to put their Thinking Caps on. Cute idea! I think I might be able to swing this for my second graders before testing starts next week. Thanks a bunch for the idea! Excellent art, is that glue or plastic? I like to make projects for my table cloth with paint like that.